The black screen blinked to life and begun an insistent beep. Alyssa Arano looked up from the book she had buried her head in for the past few hours. She left orders not to be disturbed. Reading to orchestral music provided a brief respite that the piercing ringtone shattered. Alyssa briefly contemplated if she should allow the incoming call to interrupt her rest. Recent events were exhausting. The loss of her leader and childhood companion affected not just her work but also shook her personally. 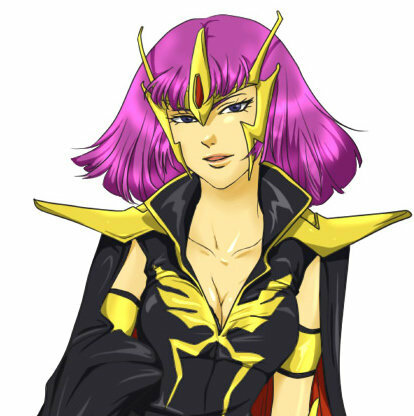 The Zeon leadership was quick to shove her into the vacuum created by the death of Haman Karn. Alyssa had been groomed for this all her life, yet she never felt ready, not even now. Yet she had to be strong for Neo Zeon to succeed in reclaiming their birthright. They prepared for this for years. The hardships suffered by her people would soon be over once they moved back to Side 3. “I’m against this, Alyssa. I should have been firm with Lady Haman and stopped her from going out into combat against enemy ace pilots. With all due respect, it’s too soon to let the new Regent to be off chasing after a rabbit trail.” Solomon was a father-like figure for both Haman and Alyssa. He was a close and old friend of Maharaja Karn, Haman’s father and Alyssa’s guardian. "I'm not a know it all! I just treat it like my baby!" Huffed out Artemis as she pulled her head out of one of her Gaza-C's verniers, "You'd be protective too if you had to fly around in this scrap heap." The hanger of the Repentance was filled with mobile suits, with most of them belonging to the Gaza family line. Artemis's was one of the few not painted a drab olive green. Plates of armor hung off of the machine as the green haired girl and her mechanic, a short redhead named Ginger. They were both smeared with grease and grime alike. "How do you bang this thing up so bad in the first place if you treat it like your baby?" Ginger snapped back as she elbowed a plate of armor down into place. "Everyone else is a better shot than I expect..." Artemis mumbled the words under her breath as she dragged a rag around the rim of the vernier, "I'm here ain't I?" "Oh yea. And this is what? The seventh leg we've replaced on your Gaza?" Ginger could't help smirk as she finished putting the armor back onto the mobile suit's leg. Rather than respond, Artemis peeled her grease stained tank top off and flung it at Ginger's face, blinding her. As the girl managed to get the garment off she was blinded again by Artemis's pants. Tangled up in the clothes Ginger drifted for a few moments before finally getting free and seeing that Artemis had changed into her flight uniform, helmet and all. "How do you keep doing that? Does everyone else just see you naked all the time?" Ginger didn't sound cross but was instead smiling ear to ear as she kicked back over to the black Gaza-C, helping Artemis open up the cockpit and slide in, "Remember just bring it back in after you're done testing it. We don't wanna get in trouble for just launching the thing out..."
Artemis gave Ginger a squeeze before vanishing into the Gaza's interior. She nestled herself into the cockpit before the screens around her blinked to life. As the machine finishes starting up she grabs onto the controls and walks the mobile suit onto the catapult. Leon's Zero Sky Zaku was flying in space in search of the Repentance, while muttering to himself. "I swear, they better pay well or the old man is gonna hear about it... Wait, is that..."
He saw and then approached the huge, red ship slowly, and witnessed a Gaza launching out. "Guess that's how they greet allies..."
The frame of the Gelgoog juddered almost violently around him, the antique metal cocooning the machine’s retrofitted panoramic cockpit creaking and groaning under the stress of high-G maneuvers. Perhaps it was a poor decision, redesigning such an old machine up to the standards of contemporary mobile suit technology: in just eight short years, the fundamental nature of mobile suit warfare had changed, making large, heavy machines like this almost obsolete. Briefly, addled by the inertial stress of a rapid deceleration, followed by a rapid pivot, Teo Nygaard considered the viability of his father’s decision to build the Gelgoog Stutzer. On paper, it was perfect, matching the performance of many of its contemporaries, but in practice, Teo noted that without the agility afforded by a movable frame, the myriad thrusters on the Gelgoog Stutzer made it far more difficult to use. Teo sucked out the last few sips of beverage base from the packet, nearly cringing at the overly tangy flavour. He’d been drifting through space for a bit more than half an hour, by now, and he was starting to get bored. The marker labeled ‘RENDEZVOUS’ ahead of him slowly ticked down: ninety kilometers, eighty-five, eighty, seventy-five. By now, he reasoned he was close enough to try and get long-range communications with the vessel “Repentance, this is Ensign Teo Nygaard, I’ve been told to rendezvous with you, coming in on vector 0-6-0. How copy?” Soon, however, he would watch as a second IFF marker emerged from inside of the Repentance, labeled 'GAZA-C'. "Oh, great..."
After the Gaza-C was flung into the star filled abyss of space Artemis accidentally dragged her hand over her controls, flicking off her communication channels. She cleared the cockpit screens of numbers, indicators and gauges and took in the carpet of twinkling lights with a deep pent up sigh that came from deep inside of her. Tears began to blur her vision as she drifts soundlessly through the void. For once her thoughts were her own. But her moment of silent reflection was never meant to last. A red flash brings the screen back to life as a circular target is drawn around a distant dot of moving light followed by a line of text branching off of the red circle; MS-06? Zaku II. The girl stared at it with a mixture of anger and resentment before bringing her screens back to life. The screens brought a surprise back with them, another target drawn over another rapidly moving dot. This one was only given a BOGIE label. "I thought the One Year War was over," Artemis croaked out, her voice cracking as she lifted her helmet to dry her eyes, "You interrupted me time. You're dead. Both of you." The girl smashed the communication button with her fist, opening up a channel with the Repentance. "CPO MacGriever outside the Repentance. Two unidentified mobile suits are approaching." The voice that came back to her questioned not about the mobile suits but about her voice, it sounded hollow and dry. She was then quickly told to wait and not to engage with the suits, "Sorry Repentance, couldn't catch that. Com's probably still fucked." Artemis switched the com back off with a heavy hand as she aimed her Knuckle Buster at the bogie. The pair of green lenses on her Gaza were both focused on the rapidly moving dot. At such an extreme range any shot from the Gaza would be a crapshoot and might as well be a warning shot, or at least was Artemis's justification to firing at the distant bogie. Leon saw the Gaza, and decided to move closer, while attempting to contact the ship. "Repentance, this is Leon Malroz, of Zero Sky, I've been sent to assist you, over." "No way, old man! I'm piloting it!" Yelled out Amber is she opened the cockpit of her orange custom suit, the Dra-C Oct. "It's my suit, and I'm using it!" She looked at her father, who had seen better days. Years and years of hard work had made him weaker and more feeble. His age was also becoming an issue since he couldn't do much of the heavy lifting anymore. However, Neo Zeon needed all the help they could get. "They want you to pilot a Gaza-C, like the others." said her father, Kem. Amber looked around to see rows and rows of the mobile suit. "No." She said. "I've put so much effort into this." Inside though, she knew that it was a better MS, but her Dra-C was so special to her. She was just glad it got on the ship. Amber glazed back down to her father and saw how distraught he looked. She realized that the only times she wasn't her happy, goofy self was when she was with her father, who would frequently restrict her time and time again. What she didn't realize was that her father only did this to make sure she didn't get hurt. "I'm... I'm sorry, dad." she said as the cockpit closed. The orange suit started, causing cameras to blink into the interior. I knew that meant her purple and green lights for the monoeye were on. "Man, it took forever to get that to work." She thought. The legless mobile suit floated to the catapult, connecting at the bottom. "Amber Destara, Dra-C Oct, LAUNCHING!" Kem glanced one of the mechanics, Ginger. "I just want her to be safe." he said to her. Ginger smirked. "Oh, don't worry. She'll be fine!" She held on to the controls as the suit jetted through the depths of space. Amber loved the speed her mobile suit could create. Suddenly, she saw a gray machine flying toward their ship. "Is that a Gelgoog?" she said. She wasn't sure because it was so far away, but she was sure that a black Gaza was firing at another mobile suit. "Artemis!" She yelled out. "We're being attacked?!" Amber pointed her mega gatling gun directly at the other mobile suit. "It's a long shot, but I gotta try!" She shouted as she fired bullets at the unknown suit. OOC: (I'll have the Dra-C be damaged after the battle to that she can use the Gaza. Unlike what his delicate appearance would suggest, Nick Lavie's daily behavior is that of a waiter that has been taking orders in a packed restaurant for all of his life: he usually wakes up in the verge of hurling a wave of insults at thin air, ready for somebody to come in with his orders for the day (admittedly somewhat outrageous at times) to violently punch the cafeteria table, to the point only newcomers to the ship jump whenever this happens during breakfast and the commanding officer giving him the orders just ignores it. Stubborn and somewhat arrogant, he usually has trouble with colleagues of his that insist on using non-metric units at work, having grown up in a colony that chose the metric system, which can sometimes lead to mishaps on Suits he has worked or performed repairs on, with him usually blaming the “Fahrenturd Gang” instead, never the guiltier. But despite his pessimistic and snarky behavior, he seems to be accustomed to this way of life, and treats every friendly or new face with kindness, seeing them as his comrades on a long, pleasant journey to his own cold and empty corner of stellar hell. Nicky usually excels at working with mechanical objects, having dabbled in repairs and tinkering since he was a young kid, and working with small parts has also made him into a highly perceptive individual. However, while he isn't afraid of getting his hands dirty, which he does, his physical weakness makes him tend to simply hurt himself when trying to use his relatively small strength, in example to operate wrenches on adjusted cogs, or to lift heavy objects, which usually ends up with his left foot being slammed from above (it already being a running gag with the MS bay crew). He is also sensitive, both emotionally and physically, which means that while he has a better time perceiving the emotions of those around him and reacts far more dramatically to compliments, he's also the first one to crack while working under pressure, and he would certainly not be somebody the ship wants falling into hands capable of physically torturing him for information, even though he knows nothing valuable to begin with. As the crew’s bare eyes can tell, Nick is a somewhat short, lightly built boy with honey brown hair, somewhat collected from the way up but messily ending in a pair of upward-pointing fangs, probably a result of excessively wearing helmets that don't cover the lower part of his hair while not in a normal suit, which is necessary to avoid a possible death by hazard in his workplace. As others would put it, he also looks somewhat feminine, which combined with his nickname can lead new arrivals to think they're talking to a girl named Nicky. This allegedly does not sit well with him, with existing reports of occurrences in which he yells “It’s Nicholas, and Nicholas is a man's name!” and hurls wrenches at the offender in response. Despite all this fuzz, however, he has no intention of letting go of his prized hair, having brought himself to love it. He usually wears a jade-colored zipper jacket, a pair of gray work trousers, black gloves and white rubber boots, all of them seemingly “appropiated” off a Federation worker's closet then stripped of EFSF badging, along with a purely cosmetic pair of transparent, round glasses with a silver frame. When around hazards, he dons a white, mildly chipped hard hat, and protective goggles. He also has claimed property over an orange and white pilot suit from the spacesuit cache, and he wears it when performing repairs on the outside of the ship or during battles. Born on May the 13th of UC 0063, to a small and resource-strapped family that consisted of himself and his parents, living in one of the space colonies of Side 2, also known as Hatte, and working in a scrapyard, Nick always was curious, having a knack for disassembling things to examine their inner workings, which his peers compared to their Anatomy teacher's habit of vivisecting small animals. Still, they enjoyed his presence and had no trouble interacting with him, which meant he formed an average group of two frequent, best friends. He usually helped out his dad, who salvaged things from the scrap to sell them at the Tinsel Market, until the age of sixteen, when his mother started taking him on her salvage trips to the outside of the space colony, to teach him the art of piloting the family's yellow mobile pod to fish out the remains of ships or outdated satellites. Once he had the hang of it, he would be left in charge of the task by his mother, who wanted to help in the scrapyard for a relaxing change. However, in the same year, UC 0079, war broke out between the Earth Federation and the Principality of Zeon, and Nick would be witness to the ruthlessness of the Principality when he saw Zeon Zaku IIs take one of the neighbouring colonies away for unknown purposes, leaving one cousin of his, who was visiting, effectively homeless. Both would later find out about the consequences of the failed Operation British, and would grow to despise Zeon for leveling Australia and gassing relatives and friends to death. While many in the colony, including his best friends, attempted to join the Earth Federation, seeking refuge from Zeon or revenge for the absent Colony, Nick was wary of the instability of the region, and restrained himself from joining until it was obvious Zeon would lose and had no way of firing back at him. Then, in UC 0081, with the One Year War over, he left his underage cousin in charge of piloting the mobile pod for his parents to join the Federation's maintenance corps, mostly for a salary that would serve his family better and as a non-combatant, because even though he was no pacifist, he wanted to preserve himself alive. This job, ironically, would take him to Earth, where his life would be threatened during his first tour of duty in UC 0083, as Zeon remnants stormed Torrington Base in Australia by night, where he had been stationed as one of the new technicians for only three weeks, fixing up the aggressor units of the experimental team that tested new equipment. While he saved himself from being crushed by his own barracks and lived to help at Torrington after the attack, the events that transpired in space involving Torrington pilots and a Remnants ace would come back to haunt him when the EFF tried to cover up the existence of Anaheim Electronics’ Gundam Development Project. Having definitely caught a glimpse of the now nonexistant GP units the afternoon they arrived and during the attack, the EFF would place him on their watch list after ordering him never to speak of the incident. 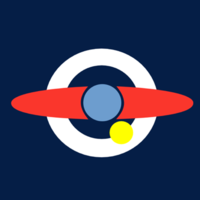 Said events would also light up a mild dislike for Zeon due to their actions, even though he secretly did agree with their initial ideology of procuring independence from the Earth Federation. In UC 0087, after spending years working for the Federation on Earth to help his family become middle class, having taken basic MS piloting lessons and with the Gryps Conflict rolling, Nick would be transferred to outer space again, intended to arrive to Gryps 2 to work for the Titans, and the Salamis Kai he travelled in would take him back to Hatte, where the ship would be undergoing repairs after being damaged during ascent by a malfunctioning booster. Seeing a chance to see friends and family again, Nick took some leave and departed for his home colony to visit friends, unaware of the presence of an AEUG cell that tried to infiltrate the cruiser with unidentified inside help, intent on stealing the cruiser’s Mobile Suits. As the GM hijacking was stopped and the responsible men were apprehended or shot, one of Nick’s best friends was discovered to be one of the dead assailants, and Nick was subsequently suspected of being their inside man. With more than half their men dead and needing all the help they could get on their escape from, the AEUG cell successfully recruited him into their ranks by warning him of the impending arrival of a Federation party that wanted to arrest him and offering him and his family refuge from them. On the run and with no other choice to protect his loved ones from the wrath of the Titans, Nick effectively joined the Anti Earth Union Group. His break would come on the days preceding Operation Maelstrom. With the Titans struggling to keep the Colony Laser from falling into the AEUG’s hands and asteroid Axis from accelerating towards the Gate of Zedan, the small AEUG cell would find themselves free to make their move after months of hiding, boarding a small space launch that would take them to an allied ship, the Salamis Kai-class Fandance, commanded by Captain Norman Jones and home to a three-member Rick Dias squadron, Team Libot, named after the Side 6 colony they all hailed from, led by One Year War veteran Ada Weiss. As the Gryps Conflict was approaching a close, the ship would travel towards the battlefield where the AEUG clashed with the Titans and Axis Zeon. However, the Fandance proved not speedy enough to arrive on time and provide support, and it would arrive to an empty battlefield, full of floating debris, destroyed ships and Mobile Suits of all kinds, as junk collectors feasted on the leftovers of the skirmish, ready to flood the markets with loads of fresh debris, inadvertently lowering the price of all junk. After circling around the Colony Laser’s remains, dodging broken energy pillars, the Fandance would follow orders to retreat to the AEUG's headquarters in Von Braun after a disastrous survivor search-and-recovery mission, its departure adorned by a massive choir of automated distress signals that didn't link to living people anymore. The ship would then be marked for scrapping on arrival, being as the AEUG lacked the resources and crew to resupply and man it, and that what little crew, parts and supplies the ship had were better used somewhere else. Therefore, all hands would be reassigned to other posts, most of them being moved to the defense of the base and local industry, to help the AEUG recover from a war so it could immediately walk into another for the sake of Earth. However, Nick would be the exception. Due to a lack of MS pilots not assigned to guarding Von Braun, Nick would be summoned two nights after arrival to an apartment block for the details of a new, mysterious assignment, while only being warned to train beforehand by using MS simulators. While he knows that his new assignment will probably involve piloting Mobile Suits in battle and will therefore be dangerous, Nick has no way of denying his services, being indebted to the AEUG after they protected him and his family from the Titans during the Gryps Conflict, which means that he'll have to carry out his orders however served… to his death if necessary. Zapptronics E-Journal: A small blue e-diary that can record audio files and save, then sort out text logs by date. Second-Hand Handgun: A hand-me-down projectile sidearm with an unusually polished slide (Nick's doing while hiding from the Titans) and a taped-together grip. MSA-003T Trainer Nemo: An activation key for a Nemo, unit number #445, taken out of Von Braun's Mobile Suit surplus and currently stationed in a rusty ship Nick hasn't yet visited. Originally intended as a training unit, this Nemo can nonetheless perform exactly like its normal counterpart with no difference other than the yellow accents painted on the suit's limbs and head. Character picture: I was originally going to use Michel Ninorich from The 08th MS Team as his appearance, but i was afraid that using UC characters wasn't allowed, so I looked for a similar character instead, and I found this guy from a web series called Voltron. I simply couldn't bring myself to not use him after I had seen those beautiful pointy things at the sides of his hair. Newfound Experience: I gave him at least a bit of basic MS experience in Earth. Because, let's face it. A Mobile Pod probably behaves nothing like military Mobile Suits, like the Nemo or the GM. Plus, his previous training would have made it all the much easier for you to kill him. You know who you are. The Gaza-D is the new Neo Zeon mobile suit assigned the ace pilots. It is intended to replace the Gaza-C in the future. Amber is very energetic and likes to have fun with her teammates, but she knows when she's supposed to be serious. 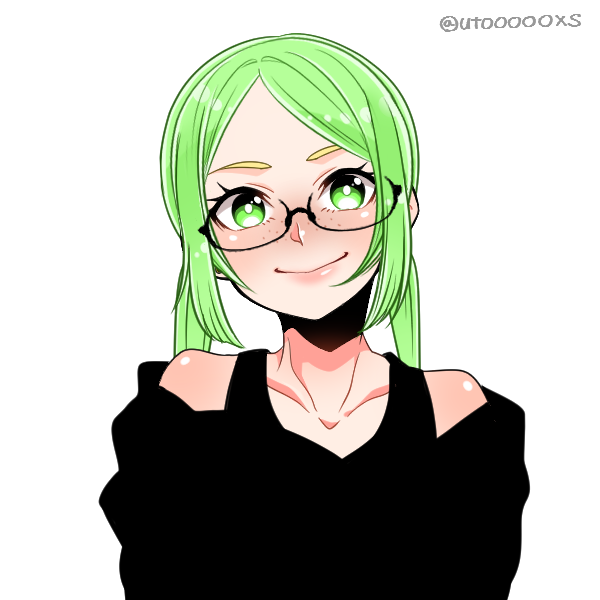 Life on Axis has been difficult, but she doesn't let that stop her from being happy, so she'll frequently try to cheer people up even when they don't want to. Her goal in life is to be a good friend to everyone. Amber values speedy hit-and-run tactics in mobile suit combat, so she'll attempt to take out the enemy without even giving them the chance to fight back. However, she's only a rookie pilot and hasn't been apart of actual combat, so that rarely works out. She may lack experience as a pilot, but she's got tons of experience as an engineer. She frequently likes to tinker with her custom mobile suit, trying to upgrade it so that it can compete with new models. Amber knows that she'll eventually hit a point where that'll no longer be possible. Amber Destara is attractive, but not jaw-dropping. She has shoulder length blonde hair, but her defining feature is her distinct colored eyes, with her heterochromia often being mentioned by her peers. She always tries to smile and to keep her appearance nice. Her Neo Zeon clothing is also orange, like her mobile suit. Born on February 22nd, 0068, Amber Destara lived with her parents at the mining base called Axis. For years, her parents working vigorously in order to even live. They were lower class citizens, so they didn't get to live a very luxurious life, but this never bothered Amber, because she didn't know what it was like to not be poor. It got worse when the One Year War broke out, causing them to work even harder. Amber rarely saw her parents during the war. When the Principality of Zeon lost the war, many soldiers and other Zeon members fled to the asteroid. The population grew under the rule of Maharaja Karn, who became the leader of the Axis base. Amber's parents were horrified to see their home become a fortress, but that didn't last long. A new living quarters block was created, allowing their family to family live in better conditions. Their jobs also changed to helping construct new mobile suits, something Amber became fascinated by. Every day, she'd watch as these new machines were created, hoping out maybe she could help create one someday. However, in 0083 Maharaja Karn passed away, making his daughter the new regent of Axis. Things changed drastically during this time. Not only was Haman raising morale with the citizens, but Operation Stardust also occurred, causing many to want Axis to fight, including Amber. She had later obtained an old damaged Dra-C and began work on it, hoping it could fly again. For years, this became her new pride and joy. Eventually, Axis did begin to return to the Earth Sphere, ending up right in the middle of a conflict between the AEUG and the Titans. Amber never participated in the Gryps Conflict, but once the Titans were defeated, Axis Zeon, now named Neo Zeon, began their official attack on the AEUG. This is Amber's moment to shine, so he revealed her mobile suit to the soldiers of Neo Zeon. They weren't impressed, but they needed soldiers to fight, so she was inducted. 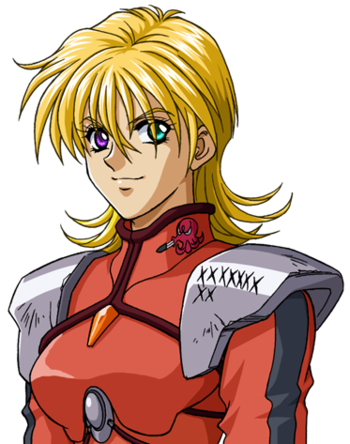 The only experience she had as a pilot was through simulations in the mobile suit, so she hoped that it would be enough to help make Neo Zeon victorious. Amber's custom orange mobile suit, built from a Dra-C used by one of the Delaz Fleet survivors. It was quickly abandoned in favor of new mobile suits, but she found it and has worked on it ever since. Amber replaced the regular gun with a new gatling gun, hoping that it'll help out much more in battle. It is currently unknown why there are X's on the shield. Other soldiers attempted to assign her to a newer machine, but Amber wouldn't budge.